SPECIAL DEAL - Usually 39.99, today just 19.95 - Save over £20! This is the ideal solution where space is limited. Grown on very dwarf root stock to produce a mini patio fruit tree, a fraction of the size of its full size cousins found in fruit farms and orchards across the UK. 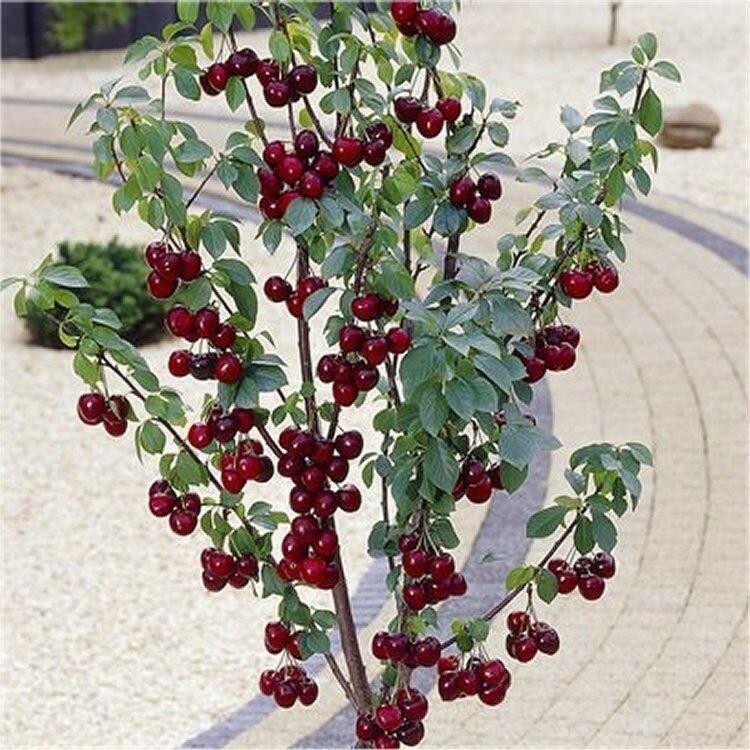 This sweet fruiting cherry hails from Germany and produces excellent quality cherries with a deep red, almost black colour. Beautiful blossoms appear in spring, with fruits following in summer. Full sun in a south-facing position is desirable for growing fruit and will encourage a more abundant crop, but other positions will also be fine. 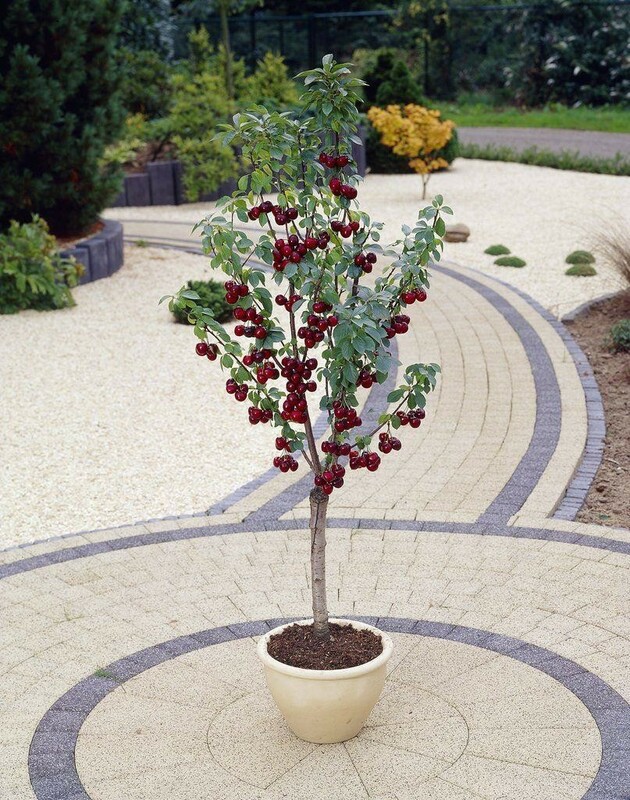 This patio fruit tree is grafted on a special root stock to give a maximum mature height of approx 1.5-2 metres, is self pollinating and is supplied in an approx 5 litre container.